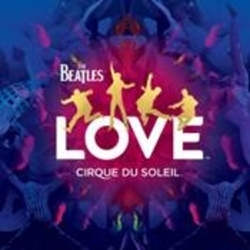 Cirque Du Soleil Offers Exclusive Glimpse Into Beatles LOVE With Magical Technical Tour . Beatles Radio: The Beatles, Solos, Covers, Birthdays, News The Fab 4 and More! ter nearly nine million guests have enjoyed captivating performances and show-stopping numbers, Cirque du Soleil has opened the doors to The Beatles LOVE to the public for free - giving Beatles and Cirque du Soleil fans alike a rare inside look at the world's most celebrated and revolutionary experience. Beginning Friday, May 4, guests can experience LOVE's exclusive Magical Technical Tour, a complimentary open house showcasing the production's state-of-the-art technology, one-of-a-kind set pieces and more, every Friday at 1 p.m. at the LOVE Theatre inside The Mirage Hotel & Casino. Guests will be ushered into the best seats in the house where they will sit back and enjoy an exceptional and one-of-a-kind presentation.